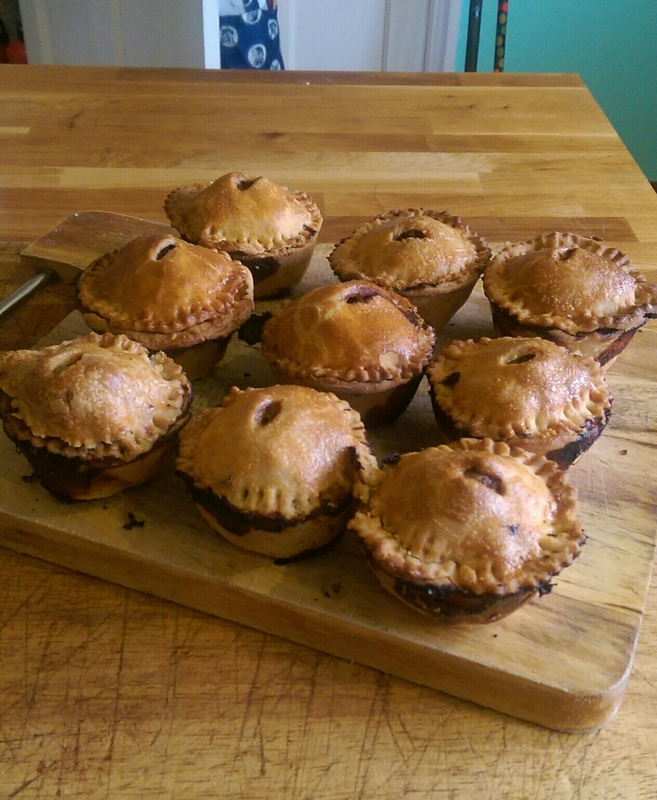 A couple of weeks ago I came up with the recipe for this pork pie. It's one of those things that looks complicated to make but is actually pretty straightforward. You just need to have your pie filling ready to go before you start the pastry. 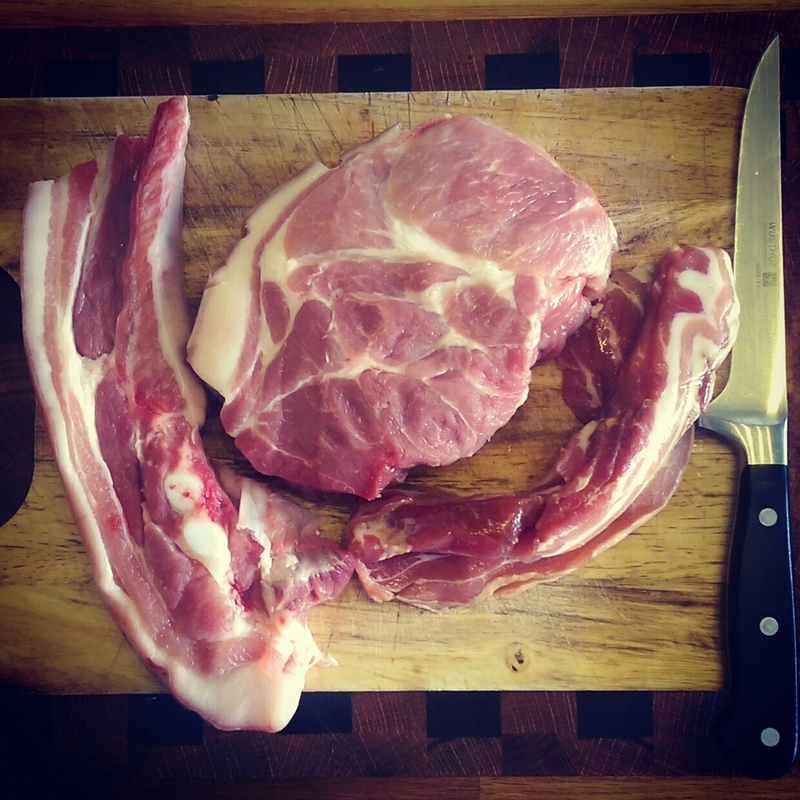 I know you don't have to look very far these days to find a good quality pie, but there is something truly satisfying about heading to your butcher & picking out different cuts of pork, making your own hot water crust pastry and digging into a pie that you've made from scratch with your own hands. I realised after making these that I'm actually quite an impatient person. Taking them out of the oven & knowing that I couldn't eat them for a good few hours was completely unacceptable to me! That's the thing really, these pies are just too damn delicious to wait for, so I've officially tasted these hot (straight out of the oven), cold (cooled down completely) and every other way you can eat a pork pie and you know what, that's a half stone of pure joy that I'm happy to have gained! 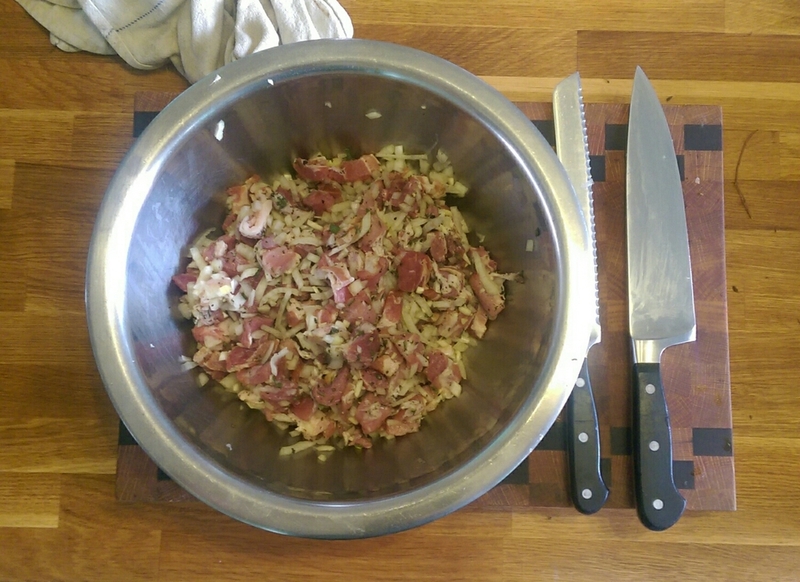 First of all you want to cut up all your meat into roughly 1 cm chunks (trimming off any large excess fat) then chuck into a good size mixing bowl. Now finely cut up your onion, garlic & herbs then add to the meat with a good pinch of salt and pepper. get your hands in the bowl and give give everything a good mix. now set aside and start your pastry. Rub the butter and flour together in a bowl. Melt the lard in a saucepan then add the boiling water and salt, add the lard/water liquid into the bowl with the flour & mix with a wooden spoon until the dough forms a ball. tip out onto your work surface and allow to cool slightly so you can work it easily with your hands. now knead the dough until it's smooth and glossy. Roll out your dough to 1/2 cm thickness on a lightly floured surface. cut out 12 circles that are slightly larger than the tray holes you are using and when done, lightly press down each one into the tray and make sure there is a bit of pastry over hanging the edge of each one. lightly reform the dough, re-roll and cut out 12 more slightly smaller rounds (for the lids). Divide the pie mix between all of your pastry cases and lightly press down so it's a bit more compact. once they are all done, place your pastry lids on top and crimp the edges together with a fork. Brush all the pies with the beaten egg wash and cut a small hole in the top to let out some steam (to avoid the dreaded soggy bottom). THESE BABIES LAST FOR AROUND A WEEK BUT AS I HAVE ALREADY STATED MANY A TIME IN THIS POST..THEY AINT GONNA BE AROUND THAT LONG!